The mission of UPSTREAM (formerly Product Policy Institute) is “sustainable production and consumption and good governance.” Sometimes I feel like we’re swimming against the tide in advocating a role for government action in ensuring sustainable production and consumption. Big brands like Wal-Mart, Nestle, and Procter and Gamble can effect rapid, systemic change in their global supply chains when it suits them. The Cradle to Cradle Products Innovation Institute and Ellen MacArthur Foundation’s Circular Economy Initiative are doing great work by partnering with industry to redesign products. Governments, on the other hand, are mired in political stalemate and often produce weak regulations when they act at all, especially in the international arena inhabited by the multinational corporations that produce the products we buy. Why even bother with public policy? Some government actors settle for “co-regulation” with corporate actors, or defer to voluntary corporate initiatives. For their part, foundations often support NGOs to conduct “market” campaigns targeting companies, or to partner with companies; in both cases the strategy is to access the power of corporations to effect swift, large-scale change. What is the appropriate role for organizations that look out for the public interest – governments and nonprofits – in advancing sustainability in an environment in which the power balance has shifted dramatically to the private sector? The authors go into great detail explaining how eco-business can be good for business in a globalized market economy. Eco-business is “largely about more efficiently controlling supply chains and effectively navigating a globalizing world economy to increase brand consumption.” The world’s largest brands have discovered that supply chain transparency, resource efficiency and waste minimization can lead to competitive advantage in an increasingly complex global market. Nothing wrong with that. It’s what many of us are working towards: Design for the environment. Zero Waste. For big business, sustainability is a strategy to gain competitive advantage to sell more stuff. The dominant retail business model today, pioneered by Walmart, is based on global supply chains, high throughput and low profit margins. In other words: mass production of cheap consumer goods designed for rapid obsolescence and turnover. Eco-business promises to increase profits by increasing efficiencies and reducing waste; it also helps drive down prices by shifting costs upstream “to those least likely to be able to afford them: small suppliers and low-paid labor.” Scale back consumerism or eliminate brands and products with high social costs? This is not what eco-business is aiming to change. Is eco-business leading us to ecological sustainability? The reality is that we’re still headed in the wrong direction. Dauvergne and Lister note that generating each dollar of economic growth now requires 26% fewer resources than in 1980, but total global ecological impacts are rising. Total resource use is growing steadily in developed countries and in rapidly emerging economies. The more fundamental question is whether eco-business can ever halt the rise of the harmful social consequences of global ecological loss. 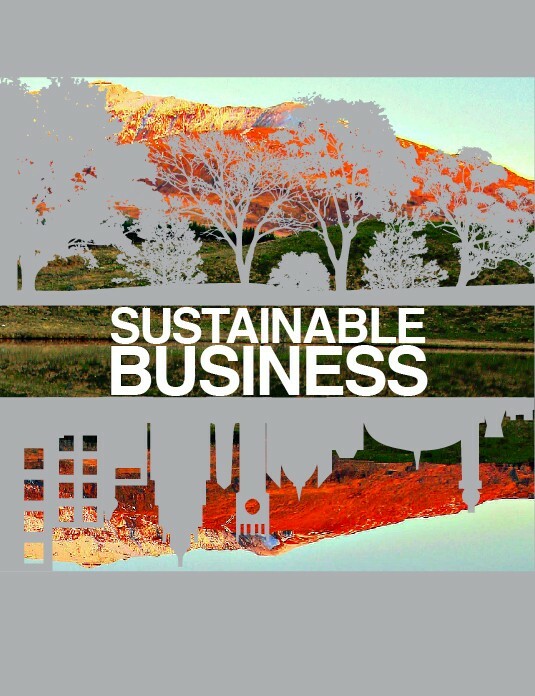 Dauvergne and Lister answer with a forceful “no.” “Eco-business is fundamentally aiming for sustainability of big business, not sustainability of people and the planet.” Big brand sustainability relies on – and is driving – consumption trends that are overtaking the gains in eco-efficiency. The conundrum is that eco-business is being accepted by many governments and public interest groups as the best practical short-term option to make products and packaging more sustainable, while at the same time locking in a system that is fundamentally incapable of halting global ecological and social loss. The authors of this short book do not offer any resolution of the conundrum other than to counsel governments and nonprofit actors to engage with eyes wide open. For my part I continue to believe that the critical missing piece is good governance and reclaiming the public sphere. I agree with Annie Leonard in The Story of Change that we the people need to regain our “citizen muscles” and organize for good governance and policies in the public interest. Holding producers – and governments – responsible for reducing the impacts of products and packaging, as a condition for sale, is a good place to start. This post originally appeared on UPSTREAM’s blog on January 23, 2014. Image credit by Sunshineconnelley retrieved from Wikimedia Commons. Dr. Sheehan is a policy expert and big picture thinker who has been at the forefront of two U.S. sustainability movements – Zero Waste and Extended Producer Responsibility – over the past two decades.